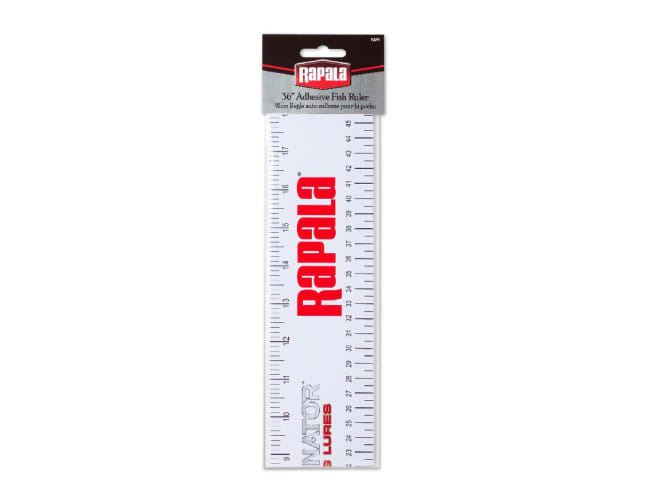 Rapala Adhesive Fish Ruler 36"
No fishing outing is complete without the right fish ruler! Rapala’s Adhesive Fish Ruler is just the one to get the job done. It can easily mount anywhere on your boat or cooler for easy and convenient measuring. It includes inch and centimeter measurements up to 36”. It sticks securely for added durability to last you plenty of memorable fish.